"Ron was a wonderful friend for over 30 years. He was..."
"Ron was an all around great guy and a true patriot. He had..."
"I will always be thankful for you selling us the house..."
"I am so sorry to hear of Ron's passing. I extend my..."
"Ron was a gift to a reporter, when I as covering politics..."
"Ron touched many lives with his extraordinary love, intellect, generosity, and humor." Ron Rasmussen Sr. was born in Sterling, CO on May 11, 1930, and passed away on Nov. 29, 2015 at Kaiser Sunnyside Hospital in Clackamas, OR. Ron is survived by his wife, Joan; his children, Ron Jr. and Kathy; a loving son-in-law, John Fosjord; his sister, Marietta Robbins; his granddaughters, Nicole and Danielle; his great-granddaughter, Madison; and numerous nieces and nephews. Ron served in the U. S. Air Force from December 13, 1950 to May 31, 1972, and retired as Lt Colonel. He achieved a Masters degree in Business Administration from George Washington University. He was stationed in many places including Texas, Illinois, Japan, Alabama, Korea, California, and Turkey. 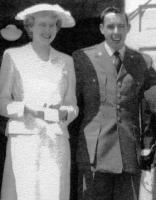 His tour in Ankara, Turkey with his family (1971-1972) produced lifelong friendships. After the military, he brought his family to Vancouver, WA and started a career in real estate which resulted in even more friends. He chaired the Clark County Republican Party during 1979-1982, which seemed to best utilize his gregarious nature. He and Joan were avid fans of the Seattle Seahawks. Ron and Joan first visited Lake Crescent Lodge in Olympic National Park WA in 1979; as a result, the Rasmussen extended family enjoyed an annual retreat there, which grew in numbers with an ever-widening circle of family arriving from many points nationwide each year. Ron was also a mentor in the "Lunch Buddies" program at Walnut Grove School in Vancouver; he was paired with a disadvantaged student for whom Ron served as a role model and friend. 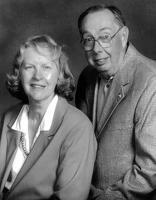 Ron and Joan endowed a nursing scholarship at Clark College. Ron was very active in various programs to serve the homeless and otherwise disadvantaged people, including Share House and Friends of the Carpenter. He was also instrumental in organizing the Clark County Magna Carta Observance Committee, including a scholarship program for 23 winning students at high schools across Clark County, plus a well-attended ceremony on June 20, 2015 to celebrate the 800th anniversary of the Magna Carta. and exuberance; that in its entirety is his legacy. A memorial service will be held at Vancouver First United Methodist Church, Sat., Dec. 12, 2015 at 2:00 p.m.